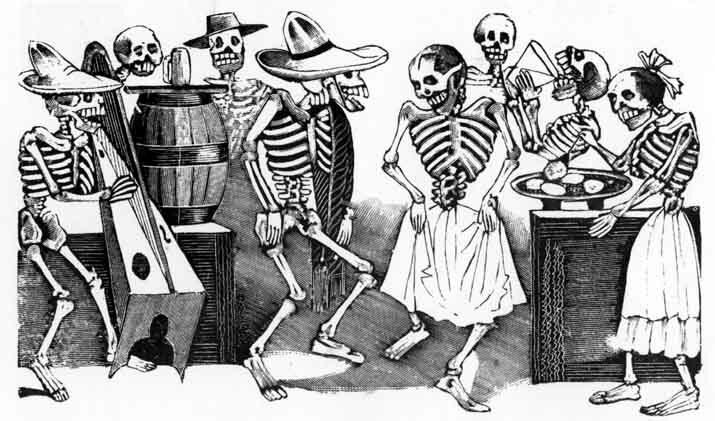 Posadas traditionally begin on Dec 16th when the Nativity Scene is set up in most of the houses in Mexico, and the last posada is on Dec. 24th. In a traditional Posada the Rosary is prayed and images of Joseph and Mary are taken on a pilgrimage by the "peregrinos" (pilgrims) carrying candles and "bengala" lights and singing the traditional songs looking for a place to stay where Jesus will be born.During the pilgrimage Joseph and Mary are rejected until they are finally allowed in a place where Jesus will be born. Traditional songs are sung by the participants, a piñata with seven cones (that represent the seven capital sins) full of candies, oranges, mandarins and sugar cane pieces is broken and bags with colaciones (special type of candy for posadas), cookies, oranges, mandarins, sugar cane pieces and peanuts (bolos) are given to all the attendants. 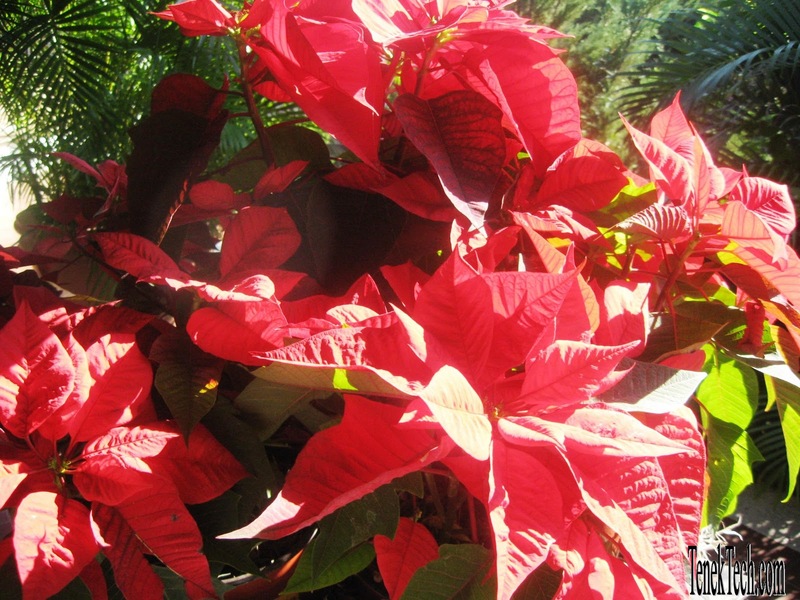 Posadas can be organized by families, friends, neighbors, churches, companies, etc. 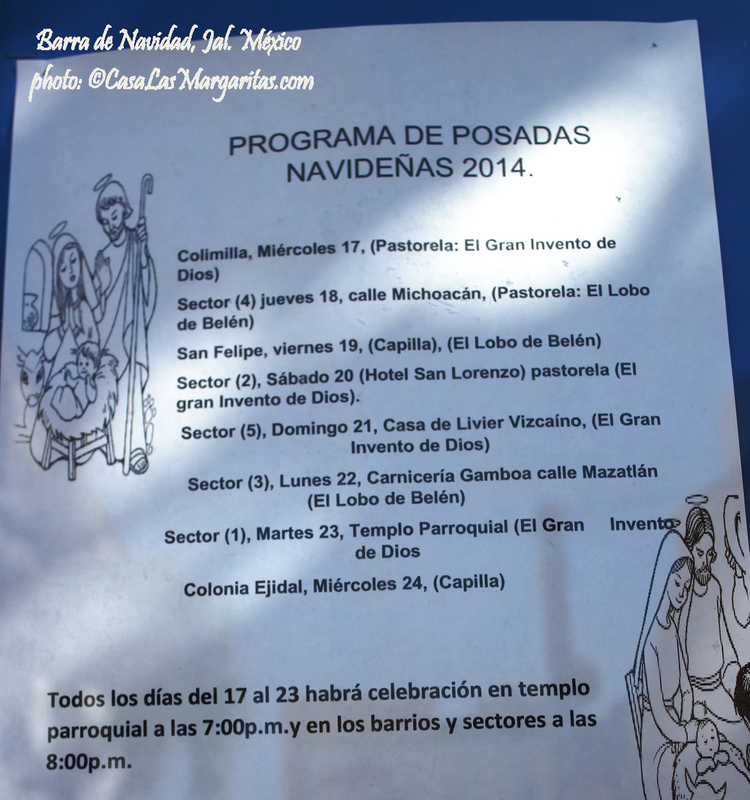 The following is the program of the Posadas organized by the Church in Barra de Navidad where everybody is welcome to participate. Christmas Traditions in Mexico - Posadas in Barra de Navidad, Jal. 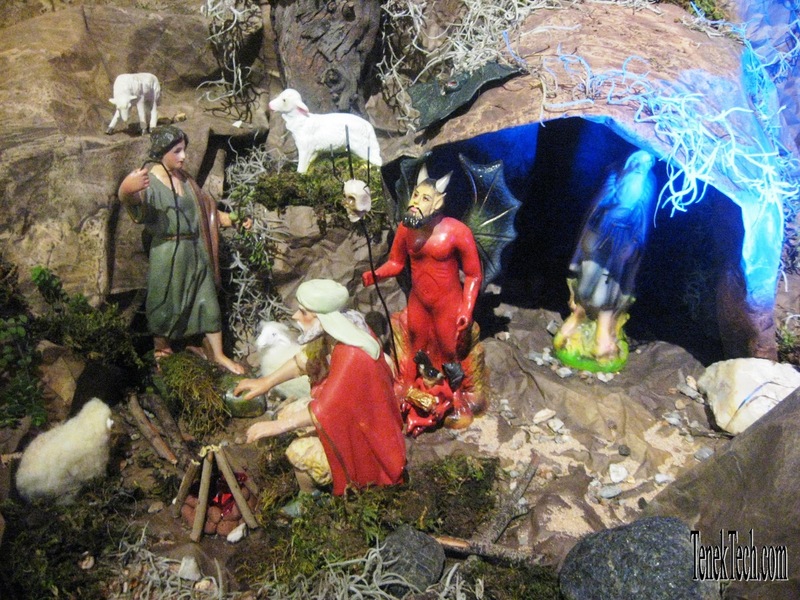 On the first day the Belén also called Nacimiento (Nativity Scene) and Christmas tree are set up in the houses. The Rosary will be prayed at 7:00 p.m. or 8:00 pm in the barrio and sectores following the Mass and Posada at the church in the corresponding area. Dec. TBD - Sector 1 en Templo Parroquial. Posadas in Barra de Navidad barrio "San Felipe de Jesús"
Join the enthusiastic Doña Petra and neighbors of the Barra de Navidad barrio "San Felipe de Jesús" in their traditional "Posadas in the barrio". accompanied with their children dressed up as Joseph, Mary, shepherds and devils. 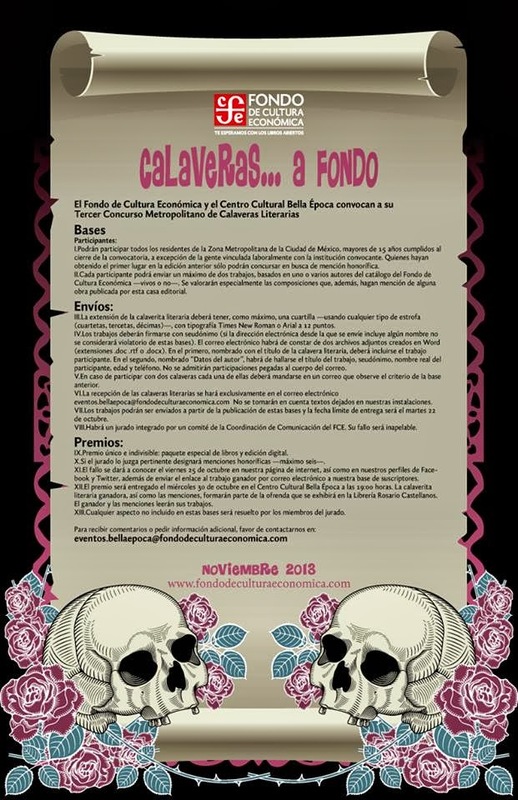 Traditional Mexican Christmas Posada in Barra de Navidad barrio "San Felipe de Jesús"
Dec. 16th till Dec. 24th. 2013 : The Rosary is prayed around 7:00 pm every day at the barrio church. After the rosary children and adults walk in a parade singing Mexican Christmas carols toward the street where "la posada" takes place. 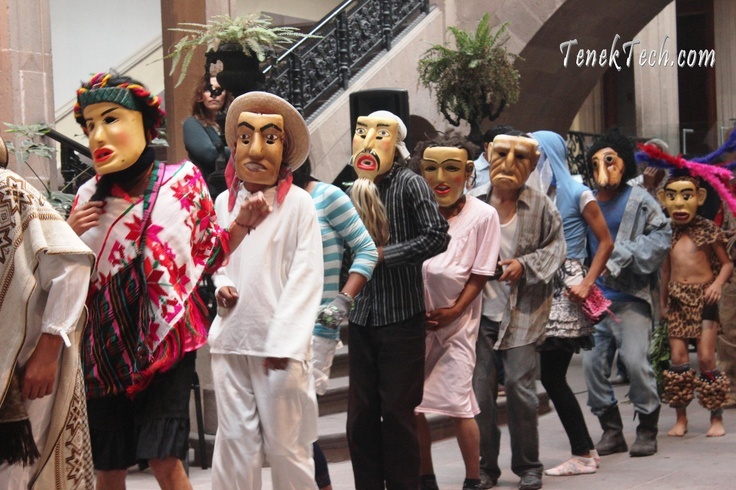 All the attendants to the "posada" participate singing the verses of the reenactment of Joseph and Mary looking for lodging. 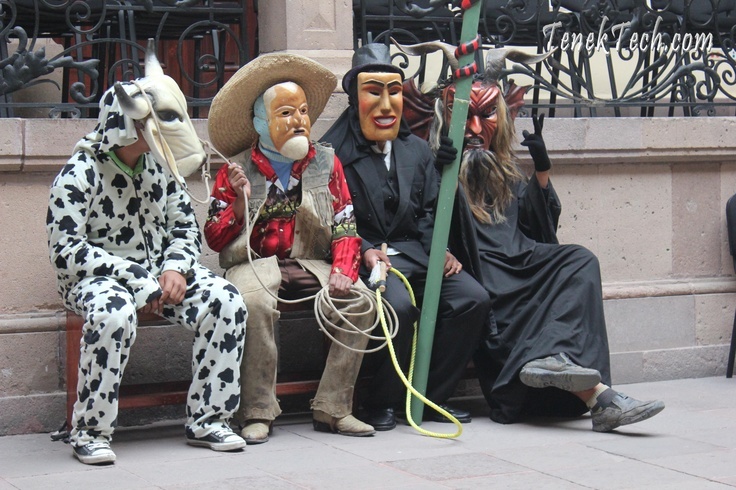 A pinata that represent the evil or 7 sins (if it has seven cones) is broken by the children with a stick that represents the triumph of good over evil. The pinata is filled with fruits like pieces of sugar cane, mandarins, oranges, peanuts and candies. 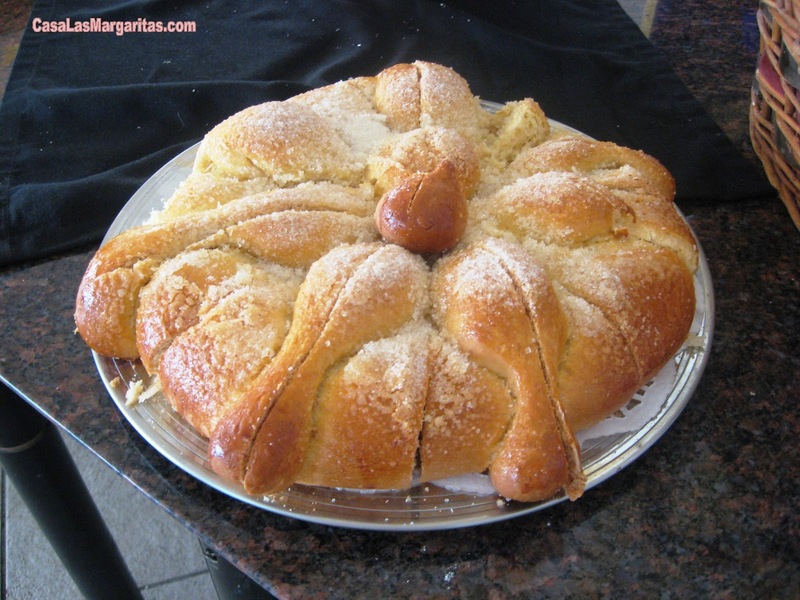 An appetizer is served and children are given "bolos" bags with traditional Mexican Christmas candies and cookies and also fruits.. Note - Barra de Navidad barrio church is located at the corner of O. Indico and Ejidatarios streets (one block north from Nueva España, a few steps from Abarrotes "Pelayo". Barra de Navidad Mapquest map shows all the streets of Barra de Navidad including the Barrio streets. 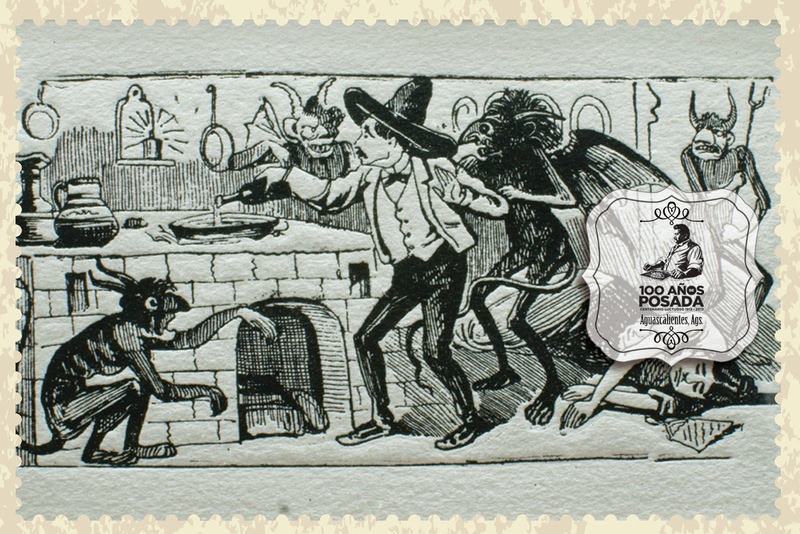 "Posadas", Nativity Scene and "Acostada del Niño Dios" are three of the Mexican Christmas traditions. There are also "Pastorelas", "Levantada del Niño Dios", "Día de Reyes" (Wise Men celebration) and "Día de La Candelaria" (Candle Mass Day). Nativity Scene: Belén also called Nacimiento is set up usually on Dec 16th. 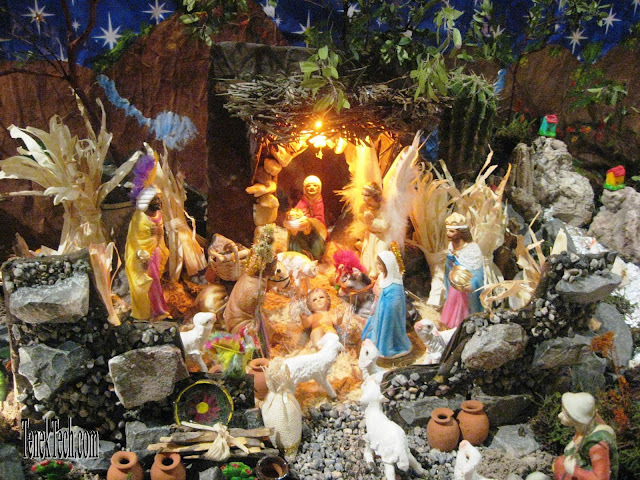 It has representations of traditional Mexican scenes combined with scenes of how the artisans imagine was Bethlehem in the time when Jesus was born. 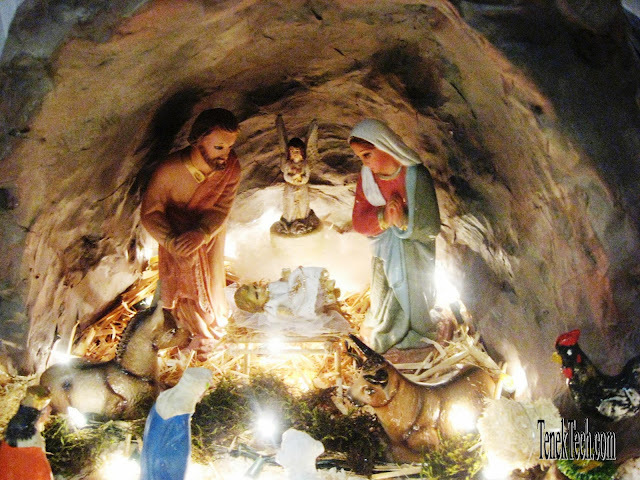 The center of the Nacimiento are the figures of Joseph and Mary with Baby Jesus. Important part of a Nativity Scene are the Bethlehem Star, the 3 wise men (Los 3 Reyes Magos), the angel, a cow, a ox, shephers and the devil (diablo). 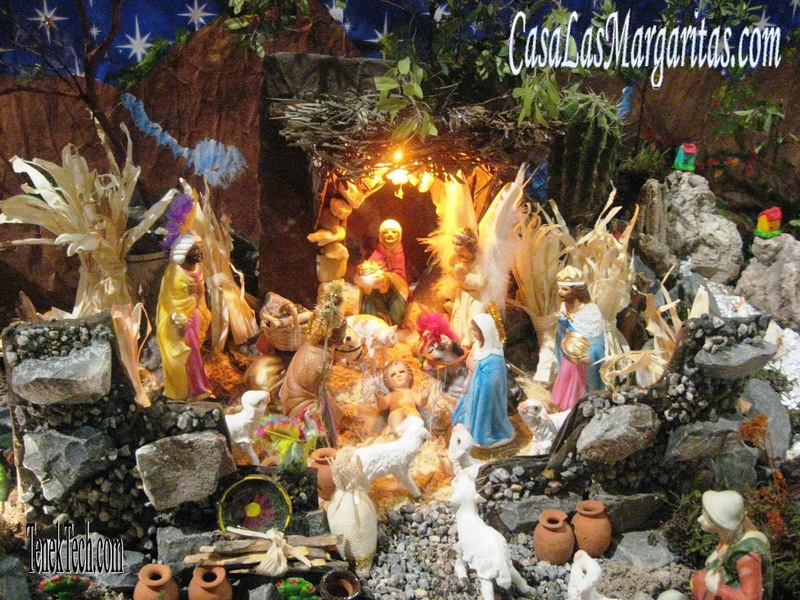 Posadas : is a 9 days celebration (Novenario de Las Posadas) that symbolizes the journey of Joseph and Mary to Belen and the problems they had to endure to find a place to stay (posada). Posadas traditionally begin on Dec 16th when the Nativity Scene is set up in most of the houses in Mexico, and the last posada is on Dec. 24th. 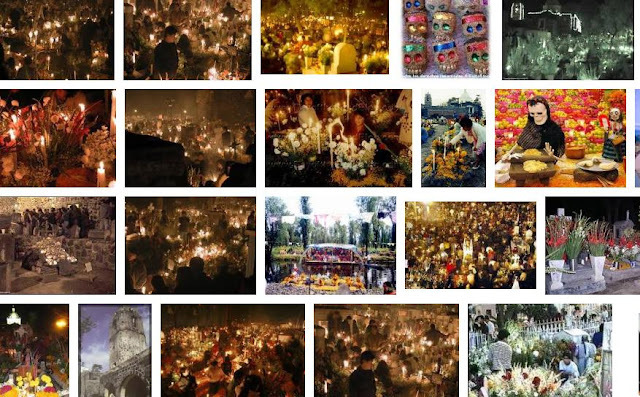 In a traditional Posada the Rosary is prayed and images of Joseph and Mary are taken on a pilgrimage by the "peregrinos" (pilgrims) carrying candles and "bengala" lights and singing the traditional songs looking for a place to stay where Jesus will be born.During the pilgrimage Joseph and Mary are rejected until they are finally allowed in a place where Jesus will be born. Traditional songs are song by the participants, a piñata with seven cones (that represent the seven capital sins) full of candies, oranges, mandarins and sugar cane pieces is broken and bags with colaciones (special type of candy for posadas), cookies, oranges, mandarins, sugar cane pieces and peanuts (bolos) are given to all the attendants. Acostada del Niño Dios - On Dec. 24th it is also very common the celebration of "Acostada del Niño Dios" (bedding of Baby Jesus) where the image of Baby Jesus is put in the Nativity Scene on a special ceremony with prays and songs. The image of Baby Jesus is cleaned with perfume by the "godparents" (usually children are invited as Baby Jesus godparents), and putting to "sleep" with prays and songs. The image of Baby Jesus is putting on a tray with candies and chocolates, the tray is passed to everyone to kiss Baby Jesus and take a candy from the tray. Then Baby Jesus is put on the Nativity Scene usually until Candlemas day on February 2nd. 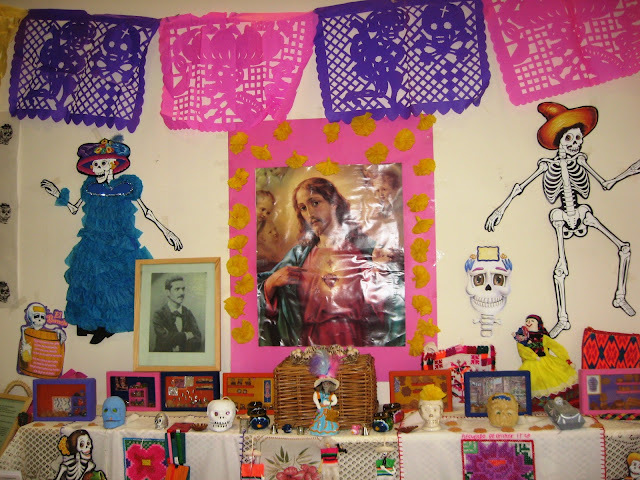 when the "Levantada del Niño Dios" is celebrated. 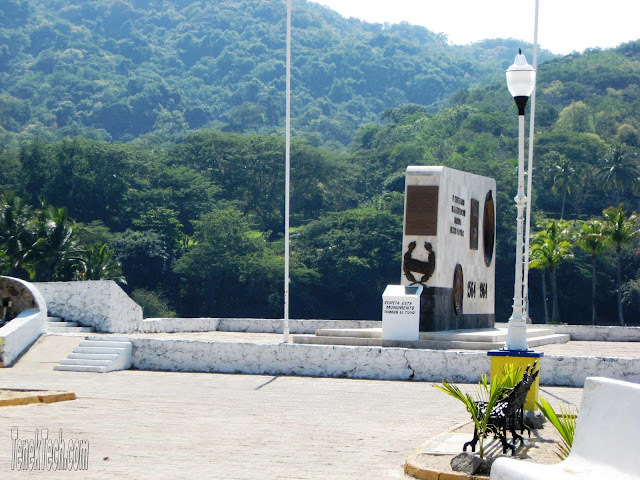 Monument dedicated to the 400 anniversary of the expedition Mexico-Philippines at the Malecon in Barra de Navidad, Jalisco México. November 21st. is the anniversary of the Expedition that set sail from Barra de Navidad, Jalisco México in 1564 to The Philippines. At the death of the viceroy, Don Luís de Velasco, in 1564, New Spain had passed under the government of the Audiencia, one of whose first cares was to equip an expedition for the conquest and colonization of the Philippines. This had been ordered by Philip II in 1559. Friar Andrés de Urdaneta having been designated as the Commander, the Viceroy had the matter under consideration at the time of his death. Urdaneta was considered a great navigator and especially fitted for cruising in Indian waters. Philip II wrote urging him to join the expedition and offering him the command. Urdaneta agreed to accompany the expedition but refused to take command; the adelantado, Don Miguel López de Legazpi, was appointed as Commander. 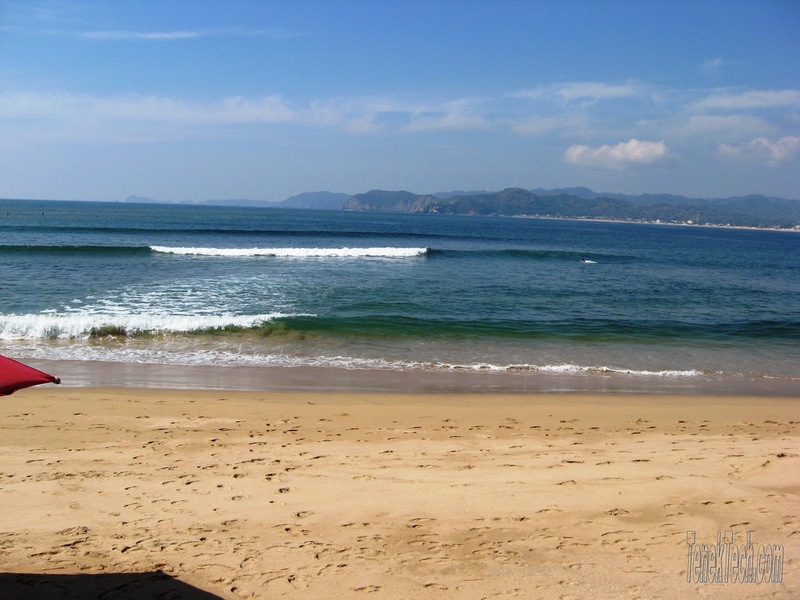 The expedition, composed of the Capitana, which carried on board Legazpi and Urdaneta, the galleons San Pablo and San Pedro, and the tenders San Juan and San Lucas, set sail from Barra de Navidad, Jalisco, Mexico on November 21, 1564. Every year there is an official ceremony to commemorate the anniversary of the expedition at the Malecon of Barra de Navidad organized by the Municipality of Cihuatlan and the Barra de Navidad Municipality Delegation. Many of the streets in the downtown area and Fraccionamiento Pueblo Nuevo have been named after this expedition. 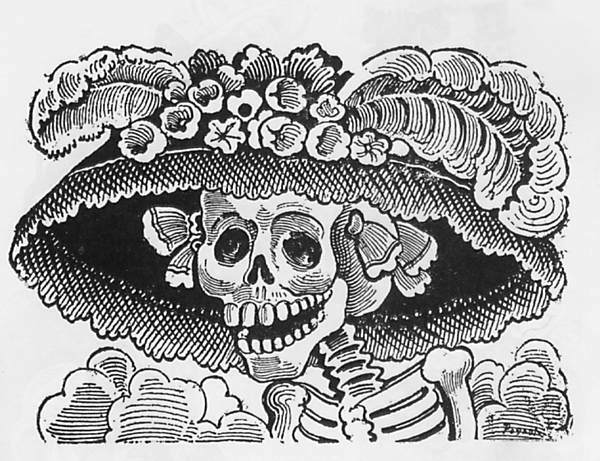 Momentos en la Historia de México: El Descubrimiento de Las Filipinas. Fraternidad Iberoamericana y Filipina 1564-1964 - Monument dedicated to the 400 anniversary of the expedition Mexico-Philippines at the Malecon in Barra de Navidad, Jalisco México.